I was going to start this blogpost by saying "It's that time of the year again..." but that would be just too depressing. Though it actually is and in particular for us crafters because making something for Christmas, be it something decorative or a present, takes time. 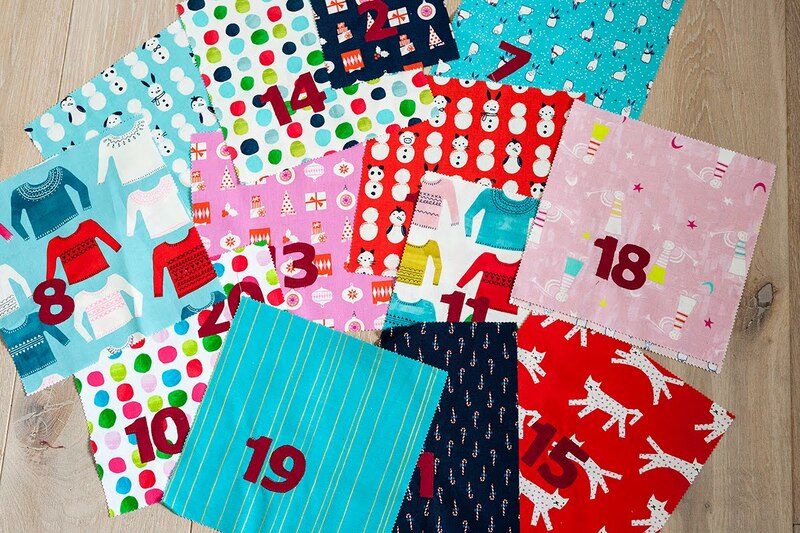 In 2011 when my lovely nephew was 3 years old I made him an Advent calendar made up of 24 miniature stockings. It was incredibly cute and a huge success and best of all it is still in use although he turned nice this year. 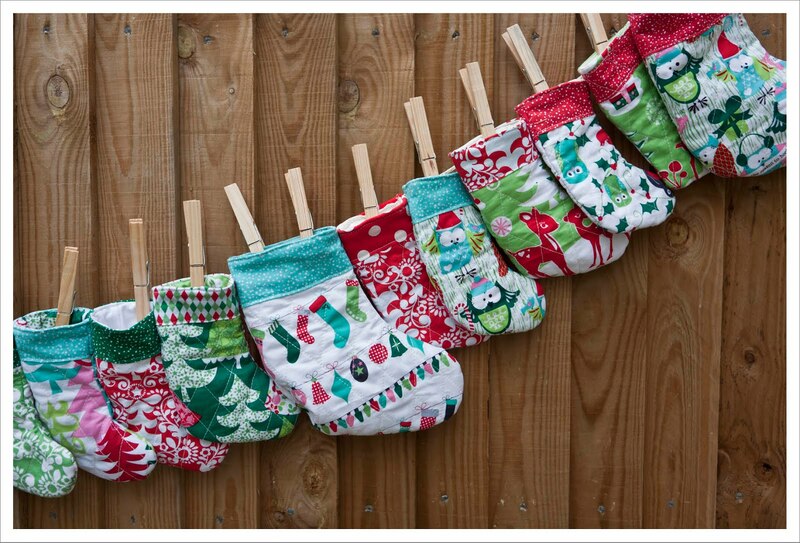 That one I also started in the Summer with the intention to make a few stockings every months. In the end I made most of them in November by assembling a production line as it turned out this was a lot of work and a bit tidies too. So I decided on a different design altogether. 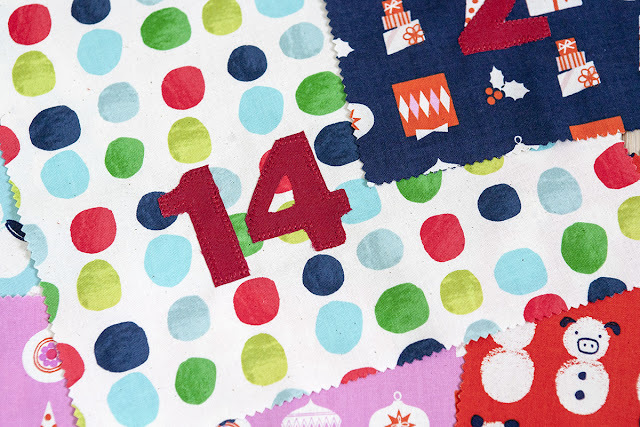 During my search I found this gorgeous quilt advent calendar from Cynthia by Ahhh... Quilting and it immediatly hit home. It's a quilt with numbered pockets attached to it. Cynthia put a lot of work into her quilt with ribbons and gorgeous quilting too but I am going to make up my own version of this and keep it altogether a little simpler. But for those of you who might want to follow her pattern, its on sale in her Craftsy shop. I am sure it is a great pattern but I just want to follow my own path and see where it takes me. My other hope was to to make something that may not be as much work as the stockings were....well, I have given up on that hope...in for a penny in for a pound. And I don't mind because I think I am going to enjoy this very much. The next consideration was what fabric to use. And as most manufacturer bring out their Christmas fabric in summer, bang on time Cotton & Steel released this years festive collection called "Noel". Its a super fun, contemporary take on Christmas and in style quite similar to the one I used for Hauke's stocking calendar. As much as I like Christmas, what I don't like are most of the fabrics with their dark tones and overly traditional patterns. So this fit the bill perfectly. 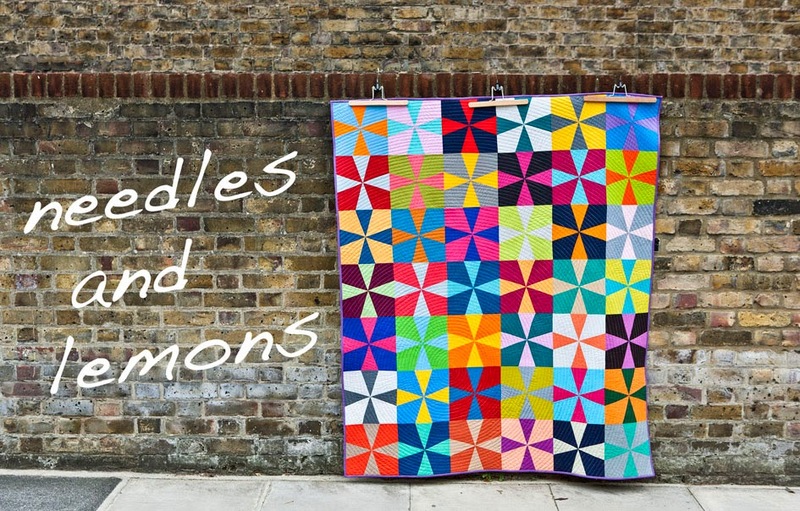 I ordered at the Fat Quarter Shop a set of forty 10 x 10 squares which will be enough fabric to make forty pockets. 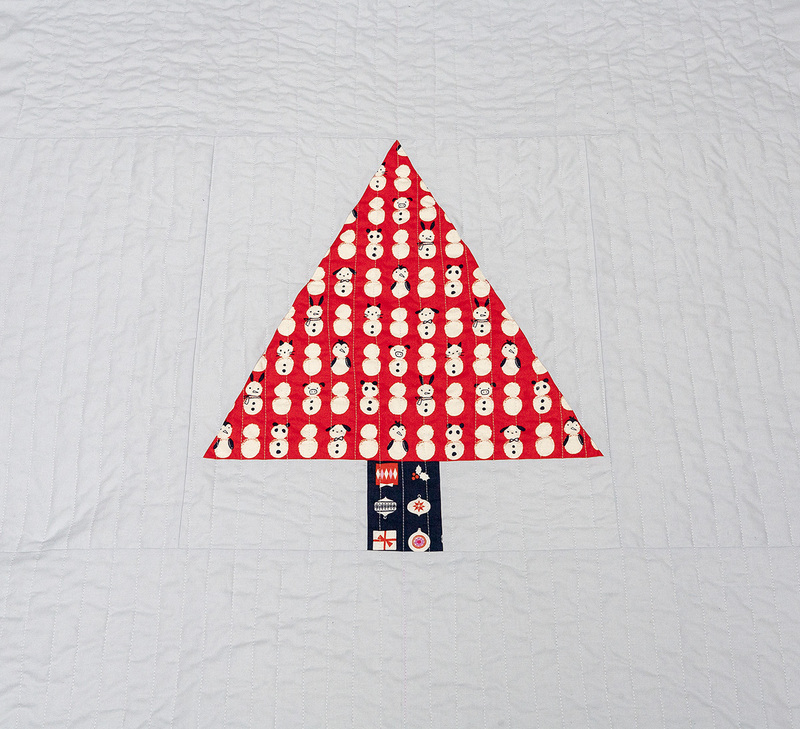 I also ordered a half meter each of the "Snow Babies" in red and mint for the tree and 3 more half meters of some of the other patterns, two of which are for the binding and the rest for the tree stump and for the remaining 8 pockets and generally as spare fabric. I am adding solids from stach for the numbering and background fabric. First up is Sophia's quilt. I was able to assemble the quilt including quilting very fast. Essentially the tree is a simple triangle with a rectangle attached surrounding by solids. The numbers are (machine) appliquéd too. Next its on to making the pockets. It's a colourful work. I really like it.